“From 1980-2007, only 15% of hurricanes, typhoons, and the like troubled the residents of low-income countries, but 68% of people killed by these systems died in poorer nations.” What these numbers tells us is that climate change is going to be more unfair to poorer people. 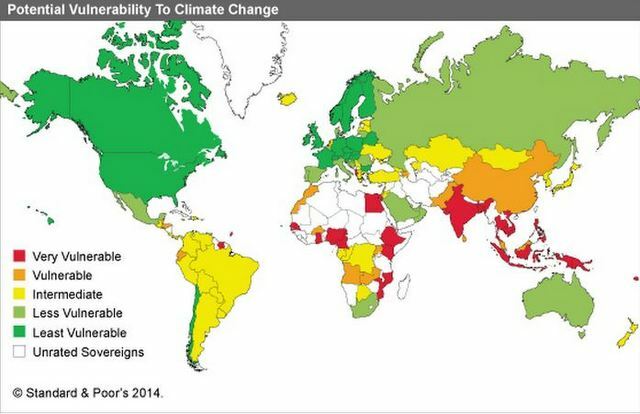 The chart shows the vulnerability of countries to climate change. See how very vulnerable are developing nations clustered near the the equator, where climate change effects are typically more intense. More on Vox. Email curiousbends@gmail.com with story suggestions or feedback. For more such stories, find curators Mukunth and Akshat on Twitter.